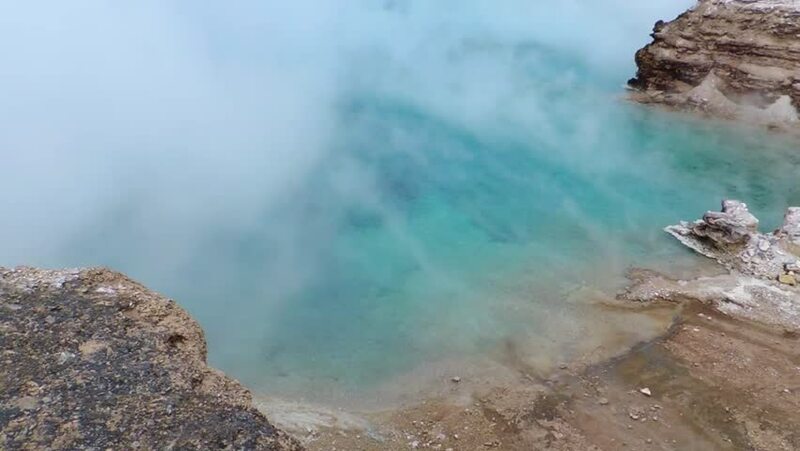 A emerald pool of steaming hot water is very much a part of Yellowstone National Park ... the most dangerous volcanic location on earth. hd00:15Cinematic footage. View of the big flat rocks at the sea, the camera goes left. 4k00:31Aerial of the ocean waves washing up on black rock.